When developing WordPress websites, it’s easy at the beginning to customize the website the way we want like adding custom CSS, changing text, adding custom sidebars, etc. because we can touch the code directly. But as time passes by, the client wants us to change a little thing on the website. It can be easy enough to do just in 5 minutes, but opening the code editor, looking for required file, make change and upload is a long process. We need a faster way to make customization without touching code. This post is the list of useful plugins that can help to achieve that (I will keep updating the post whenever I see something useful). To change menu title, move menus around. I often use it with Members or User Role Editor to create a custom role for the client and use this plugin to restrict access to some admin pages. 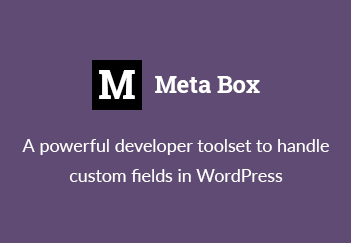 To hide meta boxes, text or any parts in the admin area. Extremely useful when use with admin body class. I find that other plugins or techniques to hide meta boxes or text or even admin menu items are not powerful enough. Especially when WordPress updates or other plugins are installed, there will be a lot of new things in the screens which those plugins/techniques can’t imagine. Although they provide a GUI, it’s still easy and very powerful to do that just by adding custom CSS. Just to see how the website appears to the client (with the new role)! Extremely useful when training clients to edit content. Very useful when we want to add custom PHP code to your client’s website! This plugin optimizes WordPress performance behind the scene without doing any configuration. Just install and let it does the job. It disables heartbeat, emojis, clean up headers and more. Although I can write the function to get the image from post content, it’s much faster to use a well-coded plugin for this purpose. I’ve been trying many plugins to clean up the database and I found this plugin does the job best (until now). Can’t put it out of my toolbox. Alternatively, you can use WP-Sweep. It’s great, but I found ADC often more tools. This helps me to replace an image in media library without breaking links. Saves a lot of time when we have many images in the Media library.